Company: District Cooling System and Power Plant Co.
District Cooling System and Power Plant Co., Ltd. (DCAP) operates a power plant near Bangkok's Suvarnabhumi International Airport that supplies electricity and steam to the Bangkok International airport main terminal, hotel nearby and a Thai Airways catering facility. The DCAP plant has two 41 MW gas turbines, two heat recovery steam generators (HRSG, 80 t/h each), and one 12 MW steam turbine. In avaerage, 50 MW electricity is transferred to the Airport of Thailand (AOT) , Total left MW is utilized in this facility and 30 MW is selling to the national grid (EGAT). The steam is sent to 10 steam absorption chillers located at the airport's main terminal, east and west, about 2 km away from DCAP facility. To be a steady supply of electricity and steam to Suvarnabhumi International Airport, which operates 24 hours a day / 365 days around a year, is most important issue for DCAP. 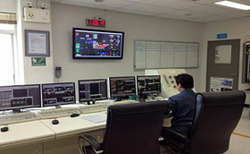 Yokogawa Thailand successfully installed CENTUM CS 3000 distributed control system, field transmitters and magnetic flowmeters. The facility is in operation without any problem since 2004. DCAP's mission is to ensure a steady supply of electricity and steam to the airport terminal, an adjacent hotel, and a Thai Airways catering facility. The steam is supplied to steam absorption chillers at east and west of the airport terminals that drive the cooling systems at the airport complex and the airline catering facilities. The airport receives power over a main line from the DCAP power plant and a line from the Metropolitan Electricity Authority (MEA). 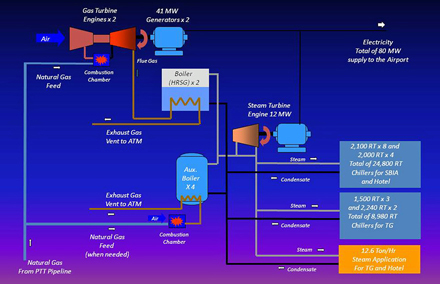 There are four operation modes to meet any cases for power requirement and steam requirement situations. All correct operation procedures are carefully configured in the CENTUM CS 3000 and smoothly in operation. 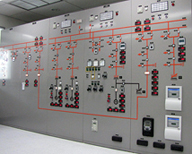 Gas turbine control system and steam turbine control system ,each machine vendor has their own specific controller, so only some major setting data are transferred from CENTUM CS 3000 as a master set point through modbus interface. All process data are monitored in CS 3000, too. A safe and steady supply of electricity and air conditioning to the entire airport complex is thus assured year round. Natural gas supplied by PTT powers DCAP's main gas turbines and auxiliary boilers. Even though natural gas is low in emissions, the CENTUM CS 3000 system tracks and displays the relevant process data. The data are linked to a continuous emissions monitoring system (CEMS) through a plant network that is connected to the government's systems. Data on NOx, SO2, CO, O22, and opacity are sent twice a day. The water used in this plant is also carefully monitored and controlled to keep it within recommended limits. Seree La-Ongutai, acting general manager, said, "We are producing electricity and steam for the whole airport terminal, the adjacent hotel and the Thai Airways facilities. It is very hot in Thailand all through the year, so the airport always needs a stable utility. We very much appreciate the reliability of Yokogawa's CENTUM CS 3000, which is the cooling of all our airport facilities here. 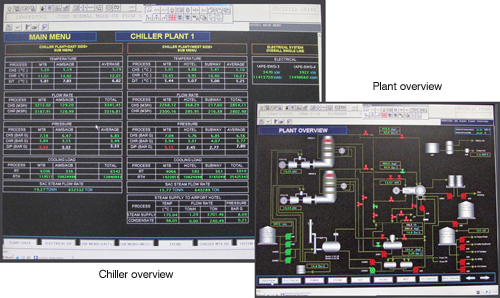 So far the plant has operated with great stability, availability and safety, and I believe this is due in good part to the integration of the system's sequence logic functions and the dynamic graphic displays on the human machine interface (HMI). We are striving to save energy in the whole facility, so we would like to work together with Yokogawa for continuous improvement."